When selecting lighting for your bathroom redux, remember that you're not just trying to create an impersonal, spa-like ambiance worthy of a five-star hotel. Rather, the goal should be to create a uniquely bright and inviting refuge that is personal to you, where you can begin and end each day. 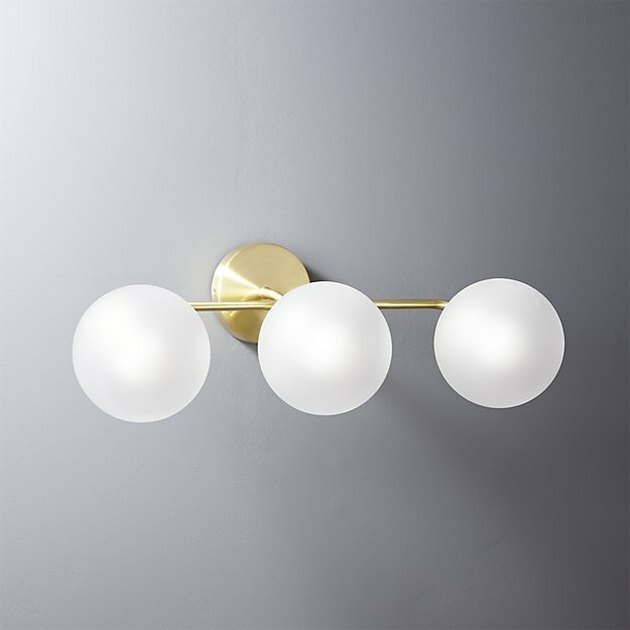 Finding the right light fixture and proper placement are crucial elements to achieving that oh-so-sought-after luminous glow perfect for washing away the stresses of the day. 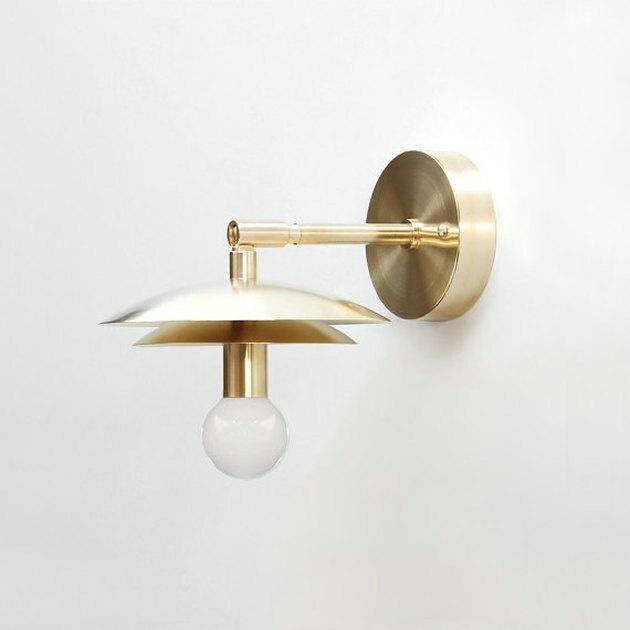 These 13 contemporary light fixtures are full of character, and guaranteed to transform your outdated space into the brightly lit, avant-garde lavatory of your dreams. 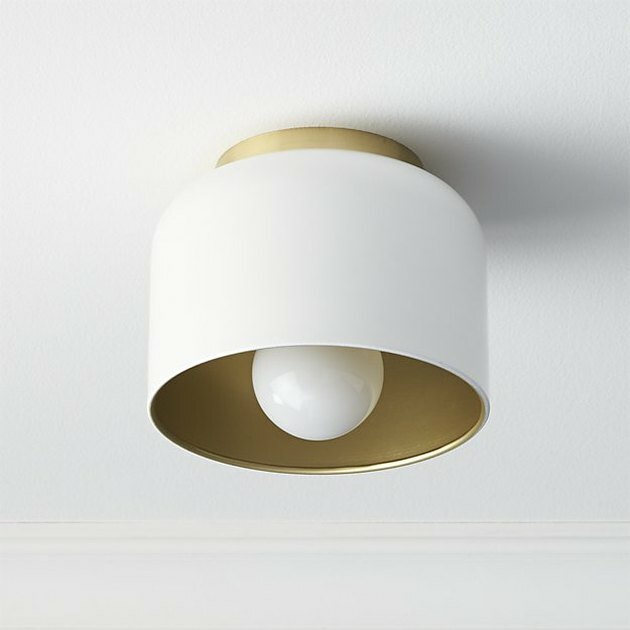 This two-tone flush mount ceiling lamp got its sculptural minimalism from industrial designer Donna Piacenza. 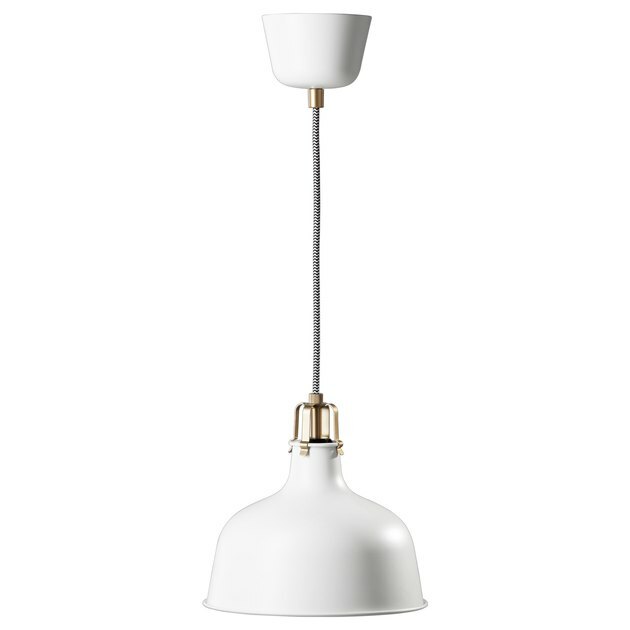 Inspired by vintage-modern designs, the round white-painted steel shade features a brass-painted interior. 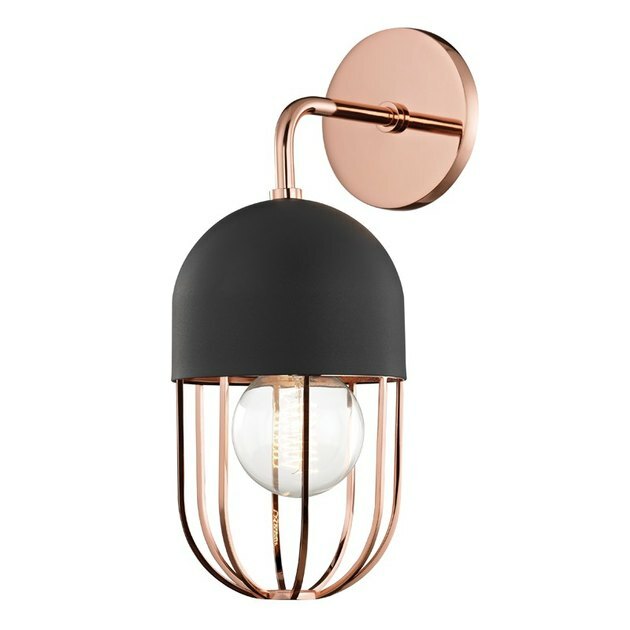 Beautiful and versatile, this fixture can be used with a vintage-style filament bulb or a cut-glass style bulb for two very different looks. Not only is this industrial-inspired pendant nice to look at, but it's also sturdy, adjustable, and amazingly well-priced. A Photonic Studio original, you can't go wrong with this handsome little number. The double spun brass reflector shades cast the perfect morning glow to jump-start your daily routine. If industrial design speaks to you, then look no further. This bistro-style globe light bar, "reminiscent of an urban subway map," is a beautiful way to light your vanity. Made up of steel, aluminum, and glass, this eye-catching fixture will provide plenty of light right where you need it most. Handmade with materials directly from the Earth, what more can you ask for? 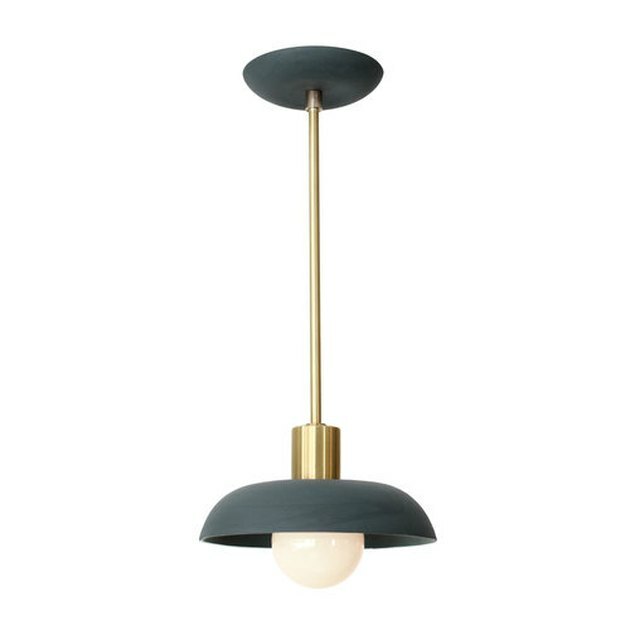 The combination of unglazed clay with solid brass is a match made in lighting design heaven. Install one on each side of your vanity mirror, and prepare to be amazed. 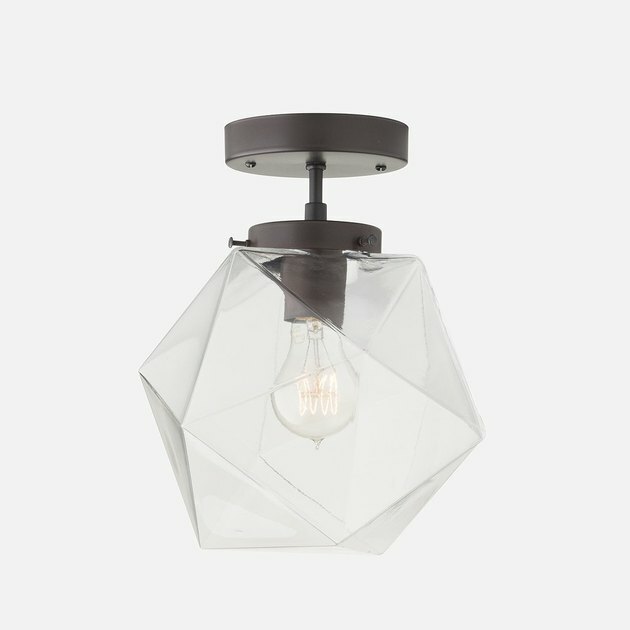 Similar to the classic glass lanterns that have long been a staple in powder rooms, this modern and simplified version does not disappoint. Available in a variety of colors and finishes, this sculptural glass pendant is the perfect way to let your bright personality shine through. 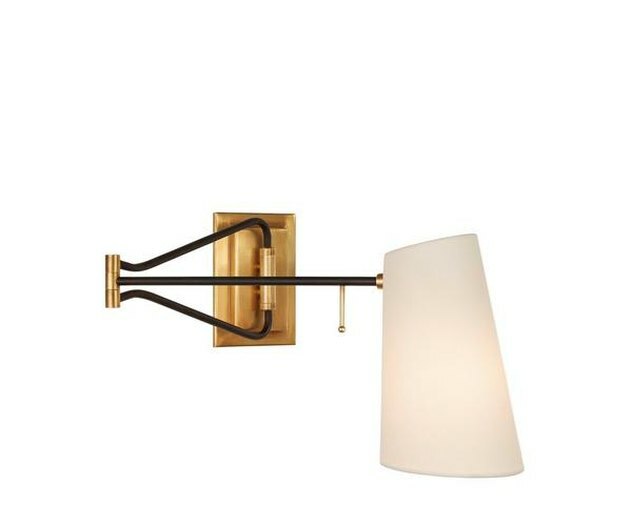 Two is definitely better than one when it comes to this lovely two-arm wall sconce. 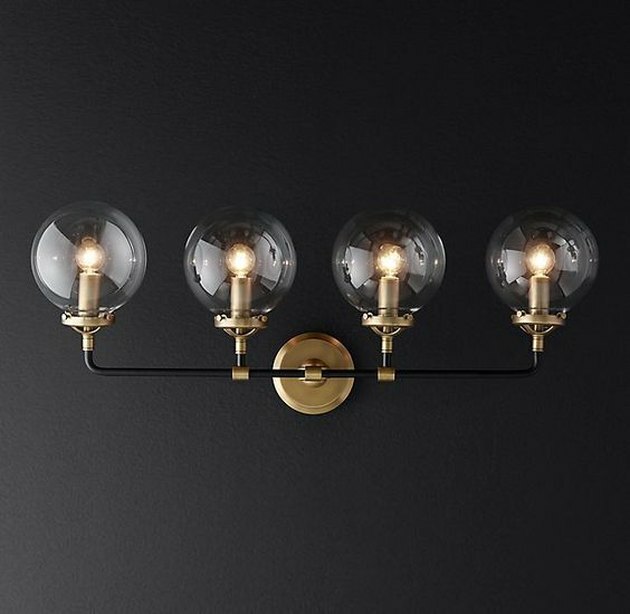 The sleek aged-brass finish paired with long bulbs provide a splendidly luminous frame for your vanity, ensuring you always put your best face forward. We simply adore this little gem, inspired by architect and inventor Buckminster Fuller. 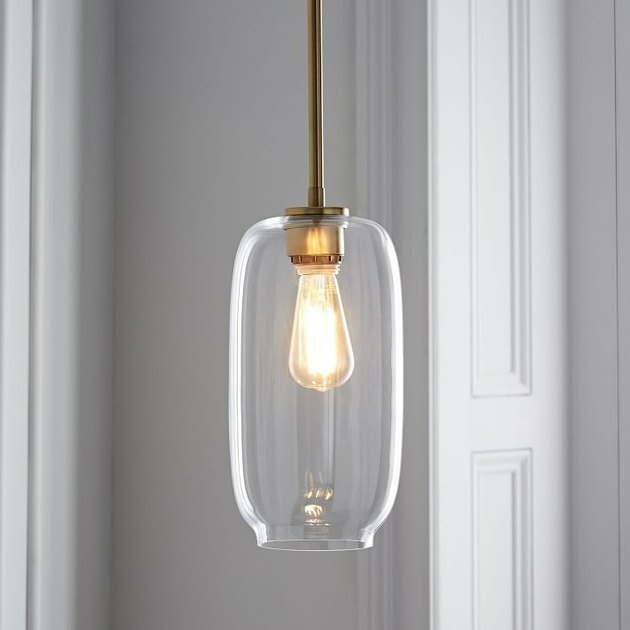 The multi-faceted, hand-blown glass shade finished with solid brass, is truly a piece of art — even when it's not lit. Oui, oui! 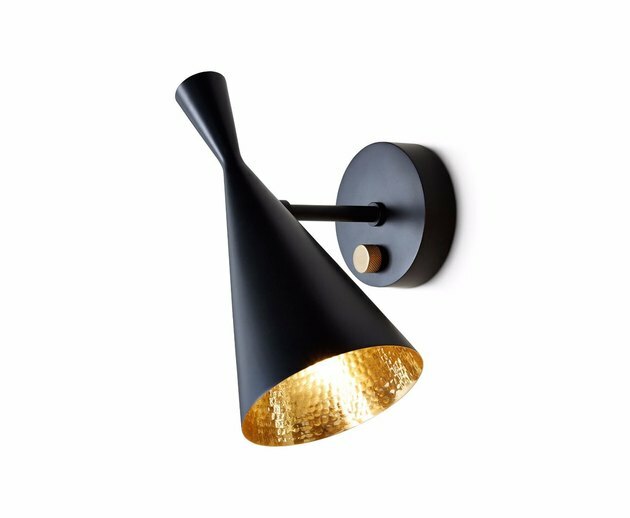 Hand-crafted from solid brass (with steel parts), Triple Seven Home has hit the ball out of the park with this lovely swing arm wall sconce. Inspired by industrial style, the articulating arm allows you to direct light wherever you need it in your new stylish loo. Designer Donna Piacenza has streamlined all of the glamour of the vintage vanity into this beautiful three-bulb wall sconce. 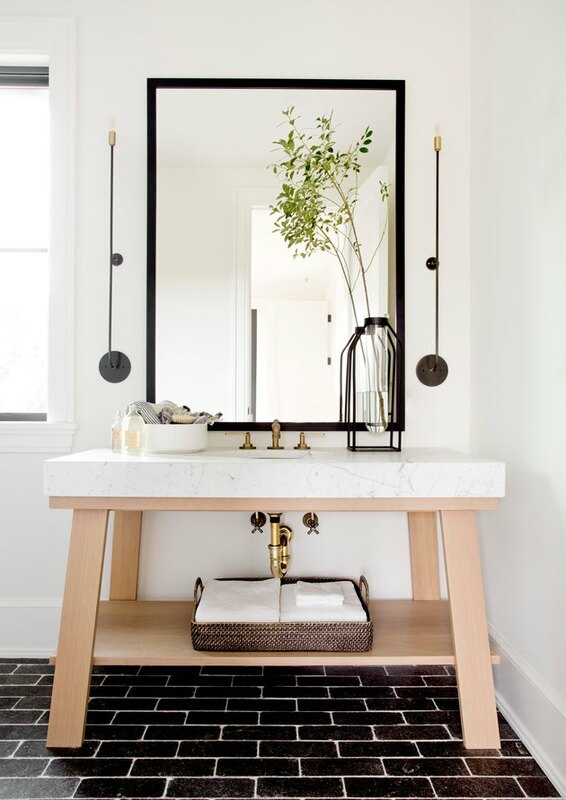 Created to direct light downward, this brass fixture with frosted shades would be an ideal addition right above your vanity mirror. 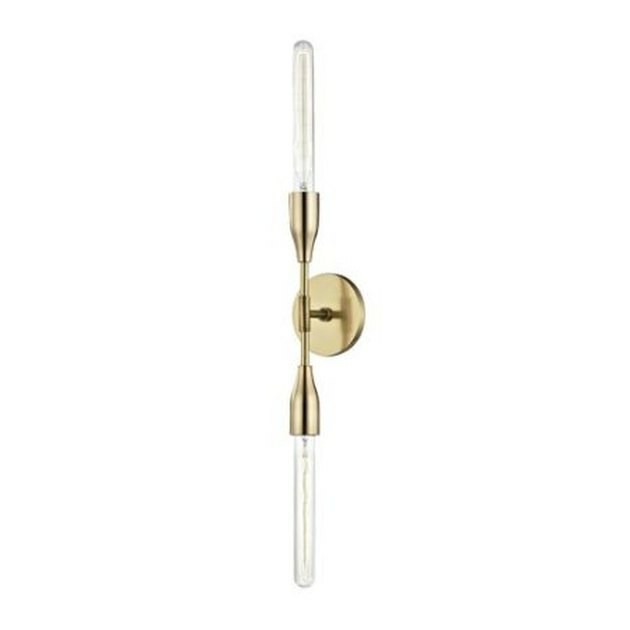 Inspired by midcentury design, this stunning swing arm wall sconce is a must-have for any bathroom. The practical design allows you to adjust the light where you need it most, without compromising on style. It's a win-win. How gorg is this black and polished copper combo? 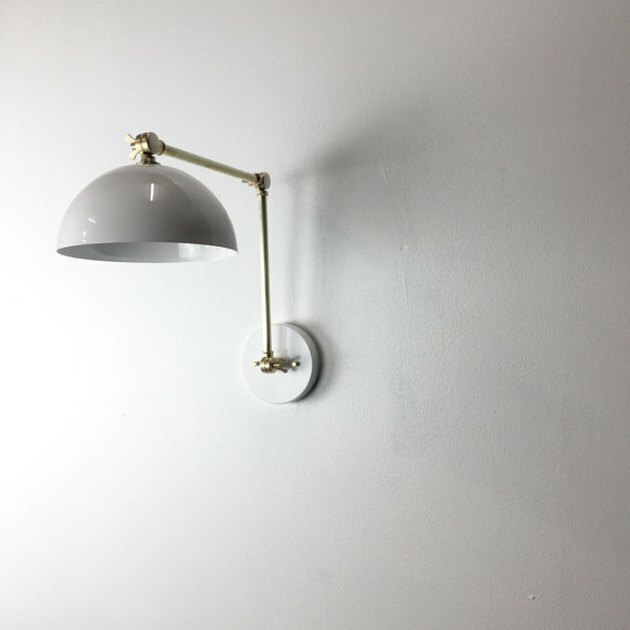 If you're looking to make a statement in your bathroom, this single arm wall sconce is hands-down the way to go. A variation of the original Tom Dixon Beat Light, this mesmerizing spun brass wall sconce definitely lives up to its namesake. The shade's black exterior provides the perfect backdrop for the warm hand-beaten brass interior that reflects a dreamy luminous glow.